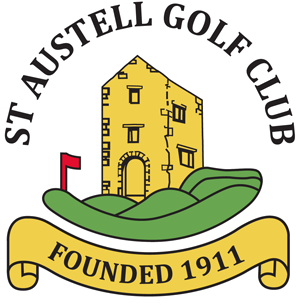 St Austell Golf Week Trophy 18 hole medal. Adult/Junior Better Ball 18 holes Stableford ¾ handicap. Mixed Greensome 18 hole greensome stableford ½ combined. Teams of three 18 holes stableford. 1st six holes one score, second six two scores, third six all three scores. ¾ handicap. Two Ball Better Ball 18 hole stableford ¾ handicap. Teams of three. Two scores to count. 18 hole stableford. ¾ handicap. Teams of four AM/AM 18 holes medal. Best two scores to count. Share Golf Week with your Family & Friends!